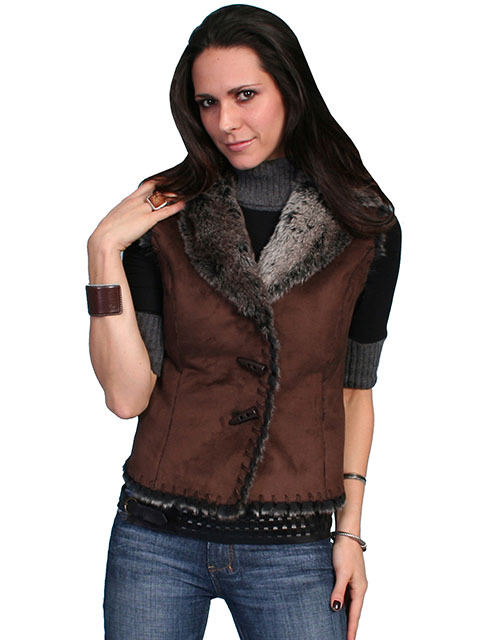 This vest features 100% polyester faux body and 100% acrylic faux fur trim. It has two faux bone closures and two hidden side entry pockets. The lining features the luxurious faux fur for comfort.